Under the topic “Their Future is Now – Education, Skills Development and Labour Market Integration for Youth Affected by Forced Migration” members of the T20 Task Force Forced Migration (TFFM) convened from 14-16 February, 2017, in Amman, Jordan, for its Outreach Event of “on the ground” research and discussions. The key objective of the event was to further develop the TFFM’s policy proposals to be put forward to the G20 Leaders, so as to promote the economic integration of forced migrants in their respective host countries. With the event featuring high-level support, notably by the Jordanian Minister of Education, Dr. Omar Razzaz and the German Ambassador to Jordan, Dr. Birgitta Siefker-Eberle, TFFM members demanded targeted efforts by the international community. Especially, concerted efforts to grant all refugees access to education and labour markets must be sensibly targeted and not exclude local populations from quality services in order to sustain host countries’ social cohesion. 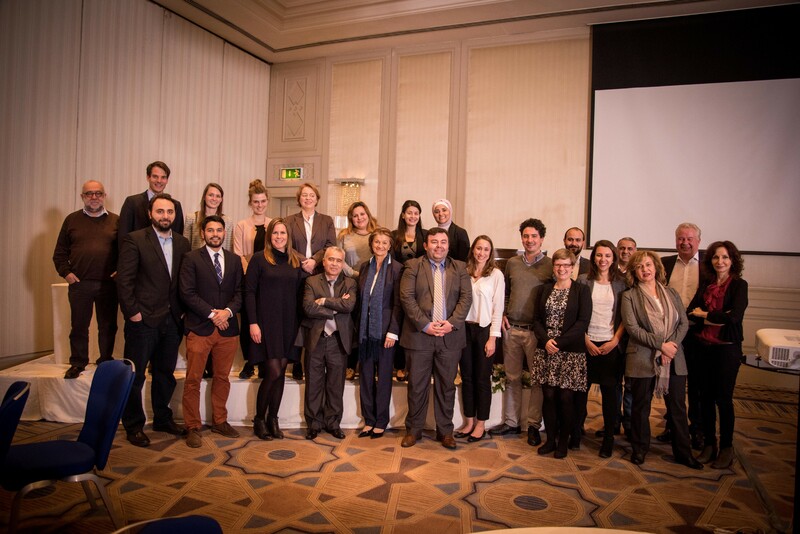 The TFFM Outreach Event was hosted by Deutsche Gesellschaft für Internationale Zusammenarbeit (GIZ) Jordan Office and the Economic Policy Forum (EPF), part of the Emerging Market Sustainability Dialogues (EMSD). It featured think tank experts from Jordan, USA, Lebanon, Bangladesh, South Africa, Morocco, Kosovo, Austria, UK, and Russia. The TFFM Outreach Event followed-up on the TFFM’s Kick-Off Workshop on 30 November 2016 in Berlin, where TFFM members agreed to elaborate policy proposals on the following five central challenges posed by forced migration: (1) Education; skills development; job matching; (2) Burden sharing: Robust funding for refugee livelihoods; (3) Labour market integration: entrepreneurship; (4) Reforming the governance system; and, as additional topic beyond the TFFM’s primary focus on forced migration (5) Climate-induced migration. Importantly, while many existing international initiatives mainly deal with humanitarian issues related to migration, TFFM sets out to develop policy proposals to improve the economic situation of forced migrants in their host countries, such as inter alia Jordan or Turkey. Avoiding a “lost generation” of young refugees deprived of their human right to education and to work requires the international community to turn attention to the world’s major host countries such as Lebanon, Turkey, and Jordan. With many host countries being low- to middle-income countries, they are often already struggling to provide their own population with quality education and jobs, not to mention the extra stress resulting from the large influx of refugees in addition.. In principle, almost all host countries have either ratified the 1951 Refugee Convention, thereby formally recognizing refugee children’s right to education, or introduced specific policies that grant refugee children access to schools. Nevertheless, school infrastructure, staff, and curricula are often not capable of accommodating additional refugee children (not to mention catering for their specific needs) so that effectively more than half of all school-aged refugee children remain out of school. . Granting refugees the right to work is even more difficult and has provoked substantial protest in host countries, especially in those with high unemployment rates. Where access to legal work permits is granted for refugees – as in Turkey –, employers largely refrain from registering them and rather employ them illegally, due to the economic disincentives of Turkey’s taxation system..
TFFM calls upon the G20 Leaders to assume a shared responsibility for the economic integration of forced migrants in host countries – in G20 countries and beyond. TFFM suggests policymakers should turn from short-term emergency responses to more sustainable support mechanisms that recognize the trade-offs in major host countries and promote the reform of national education systems and labour markets. This will ensure that the needs of both the host countries’ national population and the refugee population are addressed.. All experts at the Outreach Event agreed that these targeted efforts need to be supplemented by close economic collaboration and sound macroeconomic policies that create an environment conducive to international investment and economic growth in host countries. Ultimately, a stable business environment and increased economic activity will be necessary for labour markets to be able to employ the additional labour force productively. The TFFM has meanwhile posted its first Policy Papers on G20-Insights.